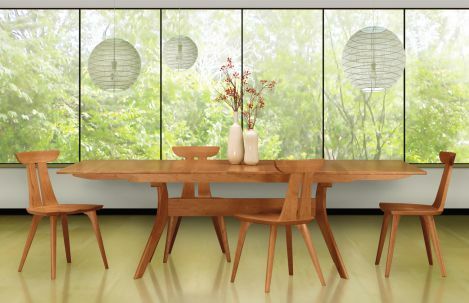 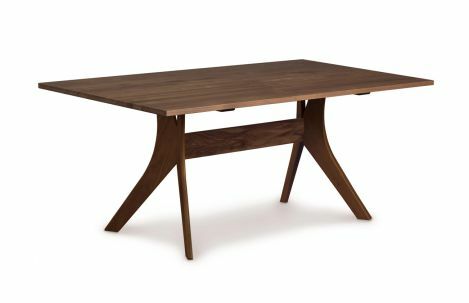 The Audrey extension dining table is crafted in solid American black walnut or solid cherry with several finish options. 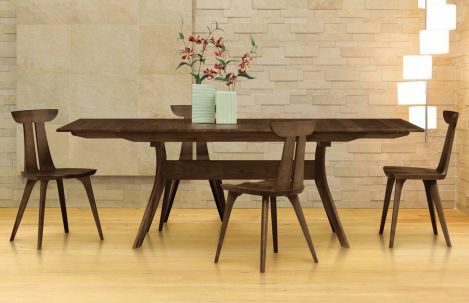 Table is available in a number of sizes. 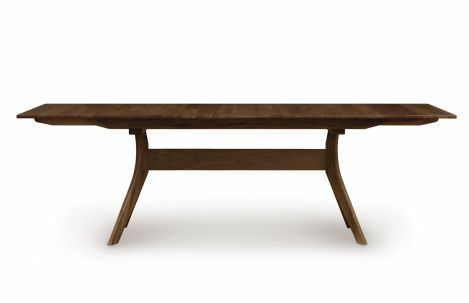 Extension tables incorporate self equalizing, ball bearing extension glides and a single 24", self storing butterfly leaf for single handed operation.